Neem holds a strong place in the world of medicine and wellness. Particularly, neem oil, extracted from the very seed (or fruit) of the tropical neem tree. Neem oil has a garlicky smell, tastes bitter, and is yellow to brown in color. 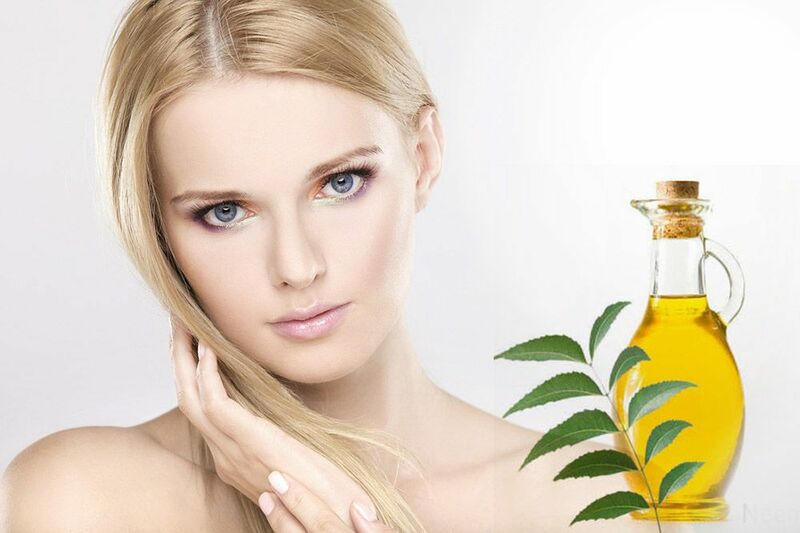 Let’s see amazing benefits of Neem Oil For glowing skin, hair and health here. Rich in vitamin E and essential fatty acids, neem oil can go deep into the skin. It can heal even the tiniest of cracks from extreme dryness.It is also used to enhance ageing skin, as it boosts collagen production. Neem has the capacity to treat acne because it contains diverse therapeutic properties including anti-inflammatory and antimicrobial. In addition, neem assists in relieving the itching and pain related to acne. Apart from that, it can destroy the bacteria responsible for the breakout and decrease the inflammation linked to acne and pimples. Neem oil is a perfect skin toner as it restores the moisture to the skin and fights pathogens that are found below the skin surface. Using neem oil as a skin toner will leave the skin young, healthy and smooth. Many anti-dandruff shampoos use neem oil as a main ingredient because of its medicinal properties. Neem hair oil not only improves your scalp health but also maintains the PH level of the scalp. Neem oil is considered to be the safest and the most effective way to get rid of head lice. All you need to do is apply neem oil on your scalp and leave it overnight. The next day when hair is combed with a thin comb, you will notice how neem oil has worked in those lice troubled locks. The neem tree comes with natural anti-inflammatory, antiviral, anti-fungal, and anti-bacterial features. Neem has been used to treat hair loss and many skin ailments for ages. Neem leaves come with the blood purifying and anti-microbial properties, which aid in solving the root causes of the problem of hair loss. Neem contains many essential fatty acids, which will condition and nourish your hair and make it soft and smooth. You can use it as a natural conditioner because it adds moisture and inhibits dry hair.